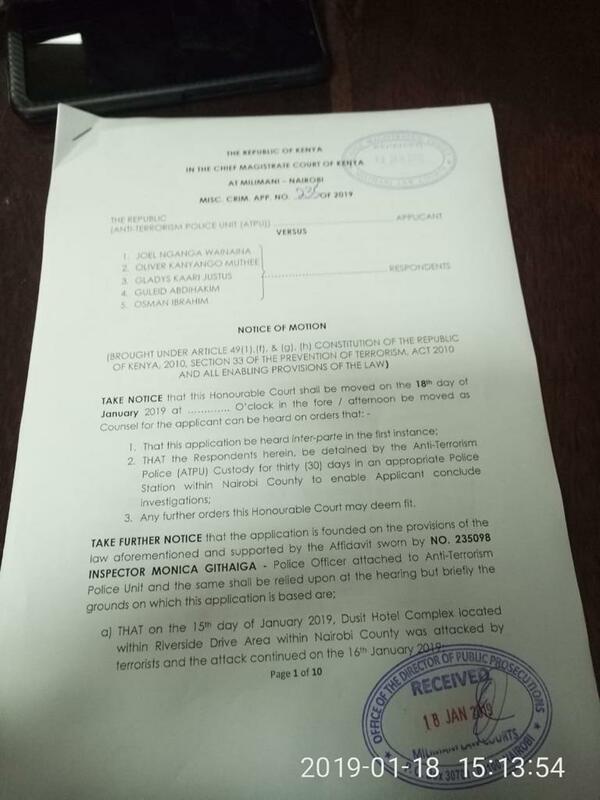 Five people arrested in connection with the Tuesday terror attack at Dusit D2 hotel have been arraigned in court. 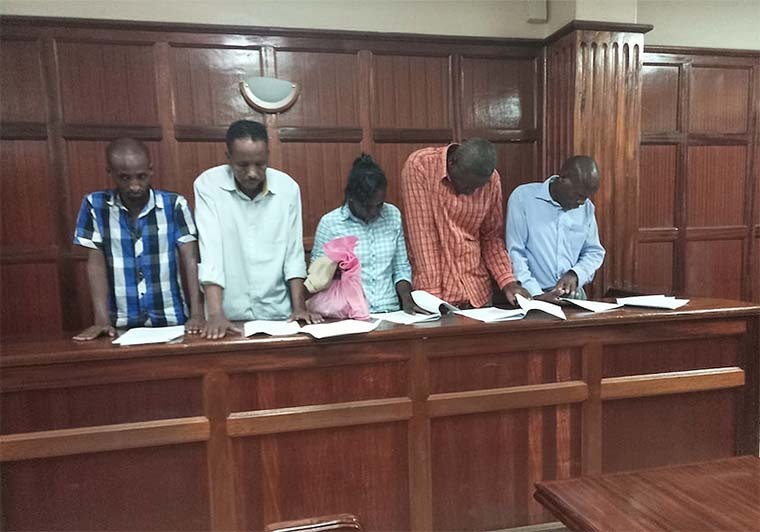 The suspects are Guleid Abdihakim (Canadian), Joel Nganga, Oliver Muthee, Gladys Kaari and Osman Ibrahim. The accused persons appeared at the Milimani Law courts where Principal Magistrate Martha Mutuku ordered that they remain in custody for 30 days pending investigations. “The team of investigators has so far covered considerable ground in the investigations and upon preliminary review of the investigations file, I am satisfied there is probable cause to continue with investigations against all suspects,” he said. The matter will be mentioned on Feb 18, 2019. Police are still looking for one of the attacker’s wife, Violet Kemunto. The attack left 21 people dead and multiple still nursing injuries.